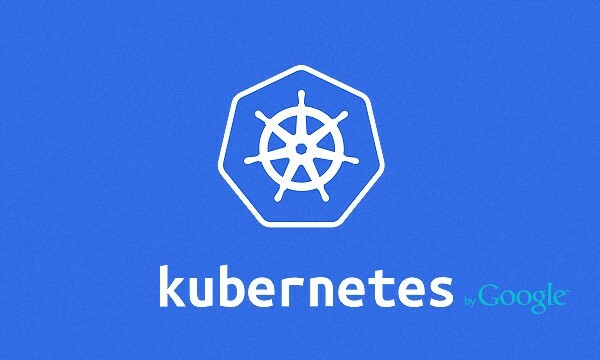 Kubernetes is a powerful and increasingly popular system for managing the lifecycle of distributed microservices over clusters of containers, letting you harness the potential of technologies such as Docker at scale. Heavily influenced by Google’s celebrated Borg system, it provides true immutability for your infrastructure, where containers that fail for whatever reason can be replaced nearly instantaneously, with the availability of the service that resides on that cluster continuing unaffected. As the analogy goes, it allow you to treat containers as cattle rather than pets. And that’s not all you need to think about. To get the most out of your Kubernetes cluster for production workloads, you’ll need to publicly expose the services you are running, ensuring node as well as multi-zone resiliency and set up some sort of secure means of access to manage the cluster whether via GUI, CLI or the API itself. All of which requires a great deal of time, effort and expertise. This is where Flexiant Concerto’s Kubernetes Orchestration as a Service (KOaaS) can provide a great deal of value. It lets you set up a Kubernetes cluster in 3 simple steps, either via our GUI or CLI. Once you have created a cluster, it automatically installs a load balancer on every node and allocates a Fully Qualified Domain Name to the front end, automatically publishing the services running on your cluster to the Internet. Concerto’s in-built integration with Weave gives you the robust SDN connectivity that you need for your intra-cluster communication, out of the box. It also lets you easily avoid cloud lock-in – you can deploy a master or node on any cloud provider by specifying which cloud you want the workload to be deployed on when creating the VM. Nodes can be added to the cluster at any time on any cloud, and pods can be moved across clouds by changing Kubernetes labels, giving you true automated cloud freedom. You also get self-healing infrastructure as standard. As with any Kubernetes install, the Kubernetes masters check the status of pods deployed within the cluster and automatically regenerate them if they fail. But also, for a cluster deployed via KOaaS, the Kubernetes master continually health checks the nodes within the cluster; any failed nodes are automatically reconfigured to an operational state by Concerto, giving you confidence of high availability and service resilience. Moreover, a single Kubernetes cluster created via KOaaS can span across multiple zones in multiple clouds, giving you immunity to any data center or cloud availability zone outage. You can consume all this functionality via our UI. We also provide an API, and a CLI that can serve to wrap the Kubernetes CLI so you can do all this with one too. And of course you can continue to use the Kubernetes API and CLI if you wish. We provide build-in X.509 certification for both the Kubernetes API and our own, meaning you won’t need to worry about certificate generation. Moreover Kubernetes clusters have firewall policies in place to maximize security – only Kubernetes services and Kubernetes and Docker API end points are open, giving you all required security of access out of the box, without the complexity and effort of putting this together yourself. Finally, our built-in GeoDNS service automatically lets you load balance traffic across nodes in different geographies according to the location of the user, keeping latency to an absolute minimum and thereby ensuring optimal performance for your services. Quick, simple and robust – Flexiant Concerto lets you get creative with Kubernetes without the pain, on any cloud. To get Kubernetes as a Service, sign up here and enter promo code FLEXK8S for 10 free VMs. Once signed up, simply go to Settings -> Account and click to enable beta features.